THIS 20-22 hour programme conducted over six days taps vast reservoir of energy within us through ancient breathing techniques, guided interactive processes, yogasanas and spiritual knowledge. 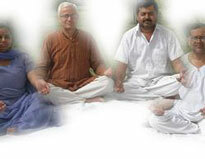 The cornerstone of this programme is the Sudarshan Kriya, a powerful rhythmic breathing technique that eliminates toxins and regenerates each cell. Resulting in an overall sense of well being, the beneficial effects can be seen on the physiology, the nervous system, the endocrine system and the immune system. ART EXCEL stands for All Round Training in Excellence. 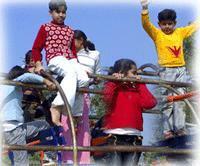 As the name suggests, children of the age of 8-14 Yrs get training covering all aspects - physical, mental, spiritual. It is a highly effective stress management and human values training program. Through play and fun and laughter, children learn valuable lessons on how to share with others, work and play in harmony and develop a sense of belongingness. They become more self-expressive and comfortable and natural even with diverse groups of people. They are also taught some yoga and effective and powerful breathing processes which help to eliminate fear, anxiety, depression and other undesirable emotions. Meditation, being an important tool to tap the children's hidden potential, forms an integral part of the program. YES is both fun and challenging, this 18 hour seminar provides teens of the age group 14-18 Yrs with a comprehensive toolbox to both manage their own emotions and stress as well as dynamically navigate through adolescence. The program broadens youth's vision of the world and provides practical knowledge and skills they need to realize their highest potential. Independent research has also shown that the processes learned on YES! reduce anger, violence and depression, as well as improve focus, clarity of mind and concentration. YES!+ provides young adults between the ages of 18-27 with tools to achieve their ideal life.The intense 26 hour program (spanning 6 consecutive days) includes practical sessions on entrepreneurial skills, maximizing individual potential and physical, mental and emotional health. AT An age where teenagers are impressionable and have to grapple with peer pressure, the Youth Empowerment Seminar Plus Program Workshop provides the opportunity for youth to channlize inherent skills in a productive manner, develop leadership qualities and problem solving abilities. Lively discussions, improvised games and Sudarshan Kriya � form part of this 22-hour course. Benefits include improved memory, clarity of thought, enhanced creativity and increased self- esteem. Sri Sri Yoga is a prayerful and balanced discipline, which offers a multi-path approach for uniting body, breath and mind with awareness. Sri Sri Yoga brings you the wisdom and techniques of yoga in a very joyful, sincere and thorough manner. A combination of gentle and vigorous series of asanas is taught for the well-being of the body, while an equal emphasis is placed on techniques for nurturing the mind and spirit. 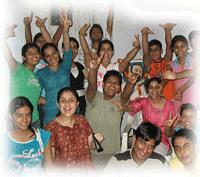 Sri Sri Yoga brings you back to your natural self, thereby nurturing all the virtues that you are born with. For those interested in exploring their inner Being further, a vast ocean of knowledge and many meditative techniques are available through our Art of Living courses. 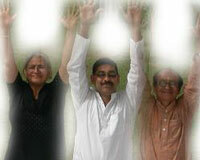 Divya Samaj Nirman literally translated means creating a divine society. This course provides the first opportunity for the individual to take more social responsibility and experience the power of one�s inner strength. We all have personal barriers, old habits, or inhibitions that hold us back and keep us from fully participating in life. Yet we all have a deep desire to be the best we can be - for ourselves, our families, our communities and even the world around us. DSN is a rigorous and transformational course, which through a powerful combination of yoga, special meditations, breathing techniques and group processes, empowers participants to break through those personal barriers and inspire in them greater social activism and responsibility. Dropping whatever isn�t serving your best interests is a completely liberating experience - making you feel that nothing can shake you. When you are ready for true freedom and personal empowerment, then you are ready for DSN! 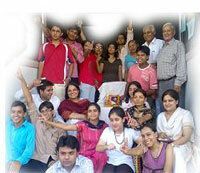 This course is open to all those who have completed the Art of Living Part I Course. The Art of Living Part II program guides one on a journey deeper into one's self.... enabling the spontaneous integration of life with wisdom. We need to rest in order to be more dynamic. However, very often, when we take vacation, we come back feeling more exhausted and in the need of another one! The Part II course is vacation ,leaving us, rejuvenated and relaxed in body, mind and spirit. Through Sadhana (the practice), Seva (service), Satsang (chanting, singing and knowledge), Silence, Swadhyay and Satguru this program offers us the opportunity to dive deep into genuine relaxation and emerge refreshed, revitalised and invigorated! Stress release, stress release, stress release! Vedic maths (VM) offers a new and entirely different approach to mathematics based on pattern recognition for solving the current crisis in maths education. VM allows for constant expression of a student�s creativity and has been found to be easier to learn. For any problem there is always one general technique applicable to all cases. There are also numbers of special techniques for special pattern problems. The element of choice and flexibility at each stage keeps the mind lively and alert and develops clarity of mind and intuition, and, thereby holistic development of the human brain automatically takes place. Sahaj means natural, effortless and Samadhi is a deep meditative state of mind. Sahaj Samadhi is exactly that - a natural, effortless system of meditation that allows the conscious mind to settle deeply into the self, thus giving it much needed deep rest. When the mind settles down it lets go of all tension and stress and centers itself into the present moment. It is only in the present moment - those moments when the mind is free from regrets about the past, and anxiety about the future - that one finds true happiness. In just a few sessions you will learn to tap the depths of your own nature. Sahaj Samadhi meditation is very easy and enjoyable and regular daily practice can totally transform the quality of your life. 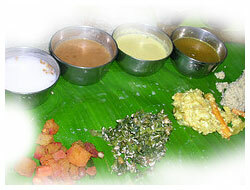 Ayurveda Cooking Ayurveda has three main focuses: healing, prevention and health care. 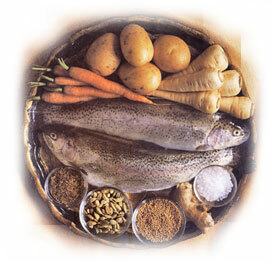 This medical science is a method of personalizing food for each person's healing process. Ayurvedic style cooking is a rational way to prepare food keeping in mind the dietary need of an individual based on different body types. 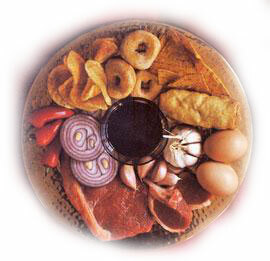 Fresh fruits and vegetables, salads, fresh fruit juices, cereals(red rice), herbal tea, fresh cow milk, dry fruits, nuts, honey,jaggery, all spices and freshly cooked Food . Read to eat canned food, basmati rice, sour cream, paneer, ice-cream, yeast, sugar.